I smell the first pumpkin muffins of the season cooking in the oven with fresh vanilla from Madagascar. And I am thinking of my amazing grandmother who I called “Tata.” Her name is Nijmeh, which is Arabic for “Star.” The neighbors called her Nellie. She passed on in October of 2007 at 93 years old. She was on hospice for many, many days as we tried to assure her in every way that we would be fine without her. Hospice said that there was no real reason she was still with us. They encouraged us to continue to try to talk with her and comfort her into her death. I was at her bedside with my aunts and Mother. I read to her from Revelation, she clutched a crucifix, but still held on. We told her stories, thanked her for her influence in our lives, laughed and cried; but still, nothing. I decided I could sit no longer; I had to do something. So I headed to the grocery store early one morning. There I bought the ingredients for pumpkin muffins, came home and began baking. This inspired my aunts to begin to bake, too. We made chocolate chip cookies and banana nut bread for the visitors, while taking turns at her bedside. With the fragrance of baking in the house and the smell of bananas, pumpkins and cookies, my Grandmother somehow knew all would be well with us. She taught me so much. I was reminded of the amazing number of women in my family line who have been change agents as we shared stories of her bravery. She was one of the first women in the Ramallah community to come to the US. My grandfather had come 12 years earlier, but she waited patiently with my mother (who had last seen her father at 10 months). As their boat pulled into Ellis Island, my Grandmother and Mother saw my Grandfather, rejoicing at the reunion. Then they began the rest of their families. We heard stories at her funeral of how many children she mothered during her first years in Jacksonville as she cooked for the whole community of men who had come to the US with their children, while the other women stayed back to hold down the overseas businesses, homes and care for elderly grandparents and great grandparents. One by one, as other women made their way through Ellis Island, she was the one who taught them to navigate the new land they were totally unprepared for. Donna always wanted to sit in the back of the bus, and she said no that was for those darker than us. We never understood why, until as adults we recalled the story. We realized that night at my grandmothers death bed that Nijmeh, didn’t really understand racism, she thought we all sat on the busses by color, and somehow people were color coded! Whites in the front, brown in the middle and blacks in the back! I love the way she just figured things out, I would like to think I have that skill of hers too. Tata, we still miss you somehow our family is not as bright without your star shining on us. 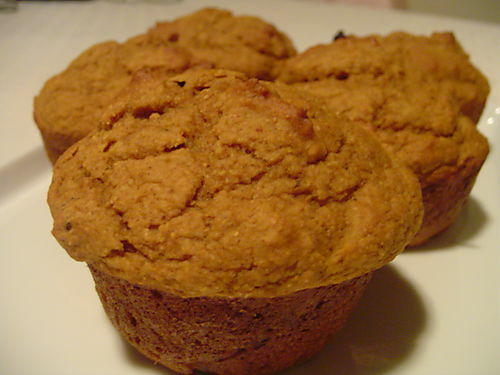 Every time I bake Pumpkin muffins now I think of you! And yes Tata you would be proud of us we are still cooking and baking and feeding our friends, loved ones and even our neighbors! What a neat story, Debbie! Thanks for sharing about your Tata!